Home CROCODILE SWAMP What Does A Crocodile Eat? What Does A Crocodile Eat? The question should not be what does a crocodile eat. The question should instead be what a crocodile doesn’t eat. What crocodiles eat includes everything that is edible. A crocodile can eat and does eat humans, from time to time. Crocodiles eat all kinds of reptiles, animals and birds as well as fish. Crocodiles are not that picky about their diets. When they are hungry, they will gorge on anything that is available to them, more specifically anything that moves or crawls, swims or flies. Crocodiles particularly like snakes, deer, fish, small elephants, cows, carrion, gazelles, wild boars, dogs, buffaloes, wildebeests and kangaroos among others. Crocodiles also attack and eat sharks. They also eat other crocodiles if there is such a need. Crocodiles will also not spare hippopotamuses and rhinoceroses. However, there haven’t been cases of crocodiles eating whales, so far. 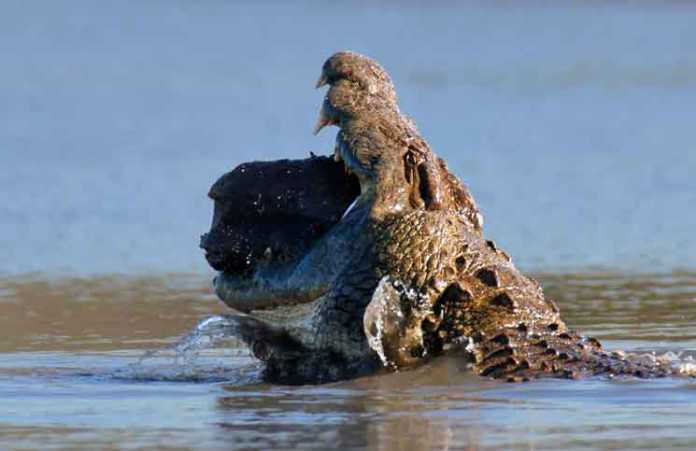 Possibly, the size of the latter acts as a deterrent, even for the largest crocodile, the Australian saltwater crocodile. Crocodiles are among the most sturdy of all reptiles as well as mammals. 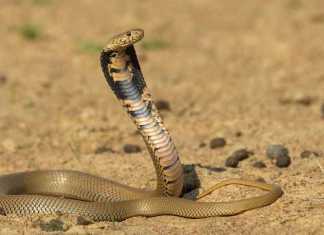 They are very hard to kill and also quite difficult to capture. That has made them a hunter of all things living as well as dead. They do like to gorge on dead flesh as well. 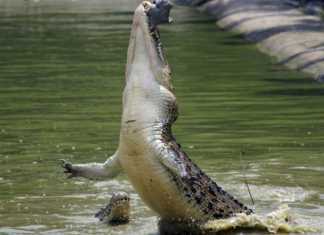 Crocodile are unbelievably great hunters. This makes them quite efficient at getting what they want. They can jump up through river waters or from the sea level for quite a few feet, which allows them even to get some birds on the fly. A crocodile can easily drag any small, medium or slightly large animal from land to water. The poor animal will then suffer a natural death due to drowning. Those that can swim also succumb to the weight and sharp teeth coupled with swift movements of the croc. A crocodile is also extremely aggressive when something or someone trespasses their territory. They will attack immediately and shred or cut through a living being. 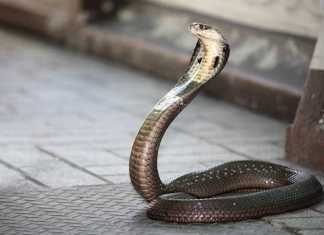 Crocodiles are also known to have attacked, killed and consumed anacondas. What crocodiles eat is however restricted to where a crocodile is living, what its abilities are and whether or not it is in captivity. A croc bred and raised in captivity may not be a great hunter and might have a certain dietary preference. A smaller croc which is just 3 or 4 feet in size will not attempt to attack a medium or large animal or even humans. Likewise, a crocodile in uninhabited regions will have to remain confined to whatever living organisms are available in its ecology. Warning System against Crocodile Attack?